Whiskey sour ingredients are as simple as they come: a squeeze of fresh lemon juice, a spoonful of sugar, and plenty of whiskey. For a Boston sour, add an egg white, too. It ain't fancy, but that's a big part of its appeal. Because at the end of a long day—scratch that, a long week—you just want a nice, easy drink. The whiskey sour, with the gentle bite of lemon tempered by a whisper of sugar, is a simple, go-to classic for a reason. Shaking with ice chills the cocktail without over-dilution. Fresh squeezed lemon juice beats sour mix in terms of flavor and aroma. Toasted sugar tastes less sweet than plain, with subtle notes of caramel to complement the whiskey. 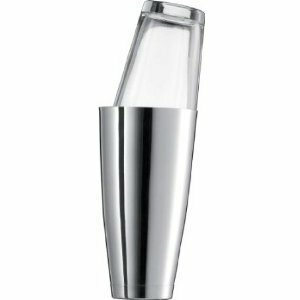 Pour ingredients into a cocktail shaker, fill with ice and shake for 10 seconds (if using the egg white, give it a little extra muscle and a little extra time). Strain into a chilled cocktail glass, or into an ice-filled Old Fashioned glass. Garnish with a cherry, a slice of orange, or everything or nothing at all. Whiskey sour mix, a commercial combination of citrus juice and sugar, is pasteurized for stability and a far cry from the vibrant flavor of freshly squeezed juice.